Cami Dels Molins 10, 43470 La Selva Del Camp, Spanje. 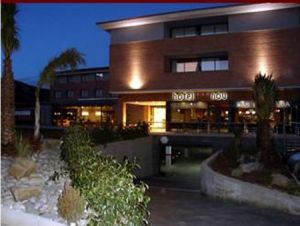 Hotel Nou de la Selva del Camp is a new Hotel complex established in Febraury 2007. It consists of two buildings, one of which is the 62 rooms hotel. The other is the apartment complex which has 12 fully equipped apartments. The hotel is situated only 12 km from the heart of the Costa Daurada (Salou, Port Aventura) and directly on the 'Cister' route. 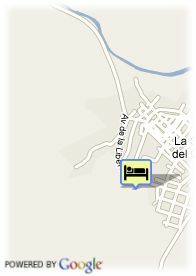 The hotel is located in the higher part of the town close to the Roman aqueduct and behind the castle. The hotel offers various types of rooms that we know will meet all our customers needs. Ideal for both the business client and tourist alike. All rooms are equipped with Bathroom, Hair dryer, Colour T.V, Air conditioning, Heating, Internet access and Telephone. We also offer the following services: Bar-Coffee shop, Swimming Pool, Conference rooms, Great terrace garden , Internet room, * Interior parking and Exterior Parking. The complex offers three different rooms for dining. We are well prepared and able to host any kind of function. Our quality restaurant offers both varied daily menus and special weekend menus. Private dining room able to host up to 70 people.